In Water: The Epic Struggle for Wealth, Power and Civilization, journalist Steven Solomon argues that water is surpassing oil as the world's scarcest critical resource. Tomorrow there may be a replacement for oil and gas, but as of now there is no replacement for water. The percentage of people who doesn't have access to clean water sources for drinking, cooking and sanitation is high and this value is not showing any tendency to slow down. The pressure is increasing in the already scare fresh water resources due to population growth, non-scientific water usage by agriculture, industry etc. 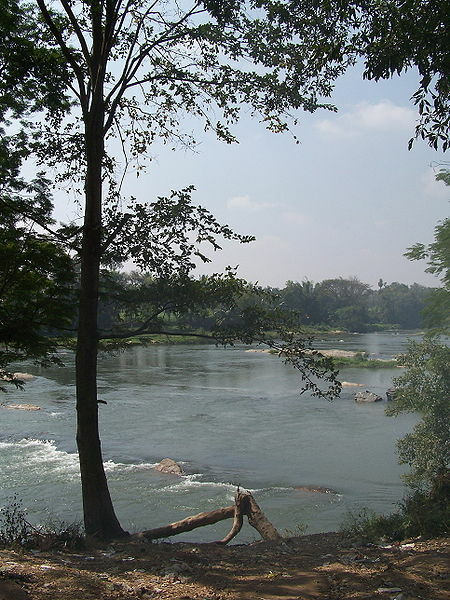 Already many of the Indian states are fighting against each other for water from various interstate rivers. As of now there are around five running tribunals hearing the cases of various states. Apart from this there are many other interstate water disputes like Mullaperiyar etc. As water become more and more scarce there is no doubt that the number of disputes will increase in the future - especially in the South, South-West and Central India where no glaciers are available to replenish the water flow in the summer season. In this situation government’s decision to create an Integrated Water Disputes Tribunal is indeed a right step in this direction. This well help to streamline the decisions related to water disputes. But the question is, is it enough? Soloman is right, apart from popping up in various discussions; we didn’t really understand the gravity of the water crisis. We are using and wasting water as if it is a never ending resource; otherwise how can you explain the huge amount of water flows through leaking pipes, open taps etc? In a quick remedy industries are directing their waste water right in to the river; drainages from various cities (which are as big as river itself) are emptying out their fully polluted water to the rivers and make it another sewage channel. There is no doubt that water is a critical resource for the survival of humans, everyone can’t afford 15Rs/bottle mineral water, or 30-50Rs drinking cans for all the daily needs. So the tribunal (I hope that Water Resources Ministry will create a proposed tribunal – in India especially in government matters you can’t predict anything) have to look into factors like – implementation of efficient water management system, waste water management system etc. The failure to implement an efficient water management system by different states should be dealt with strict penalties and other measures. If we are not ready to implement the counter measures now, then tomorrow Harvard may have case study of ‘How water wars originated in India?’. If you’ve had the faintest association with Indian education you certainly have heard of ‘fundamental rights’. With Republic Day arriving on schedule even this year it’s a good time to have a quick revision of what fundamentals these rights talk about. We are extremely thankful to the naming organizations for choosing self-explanatory titles to our rights. Now most of these rights are so intrinsic to our condition that government doesn’t need to spend any time convincing people to utilize them. There are some special rights, however, like the Right to Practice Terror in the name of Region and Religion that need to be asserted with a certain amount of extravagance to justify their outrageousness; but that’s a topic for some other day. It may seem, in the 64th year of independence, that rights and that too the fundamentals ones have had enough time to actually become what they were designed to be. That hardly seems to be the case. With human rights being violated with startling regularity all over the country and people in some parts still negotiating the right to be accepted as citizens it can hardly be called a time span well utilized in application. We need to introduce a Right To Awareness and hope that the people will rise to just be aware of uncultivated rights, their own and especially that of the suppressed. We are sure that knowledge and awareness, once provided to the people, they will act for change – without provocation. They will act to bring the change that very obviously needs to be achieved and is lost in the over abundance of distraction. Until the awareness-injecting Constitutional change is introduced, we at Jaago Re have been working at bringing people together for common causes diligently. Never have there been so many causes active in the effort to make a positive change. A day when Constitution and its endowments are being remembered, is a perfect day to come out practicing the Right To be Socially Active.